Considering the storm blowing outside the Times Forum, the title of Eric Idle’s new autobiography was very timely – and good advice. Always Look on the Bright Side of Life spans his life from his childhood surviving a grim boarding school in Wolverhampton (“which is not quite the end of the world, but you can see it from there”), right through Python, The Rutles and Spamalot. He spent about 12 years of his life there from just seven to 19, getting beaten by both the prefects and the masters, and in the end, it was Elvis who ‘saved his life’. “He seemed to be someone who was on our side growing up and I bought a guitar because of him,” he said, adding that Elvis turned out to be a huge Python fan, apparently reciting Idle’s Knock Knock sketch on his tour bus, and making a partner perform Python sketches in bed at night. He went up to Cambridge where he saw John Cleese perform comedy sketches in the Footlights and was struck by his “purest form of comedy”, and a career in comedy beckoned. He said Python started when the BBC wanted a show to go out late at night as people came home from the pub and wanted to watch something on television. In fact, it was never really Monty Python’s Flying Circus sketch shows that brought huge fame to the group; it was later when the films were made that the six became such huge comedy names and subsequently legends. And, of course, for Cleese it was also Fawlty Towers, heralded as one of the greatest British comedy sitcoms of all time. After MP and the Holy Grail – filmed on a budget of £200,000 in a very cold Scotland – the next movie venture was Life of Brian, which, Idle recounted, was only made thanks to the huge generosity of Beatle George Harrison, a good friend of his. “We tried to raise money for it in the USA, but it was like trying to sell Springtime for Hitler. They would say “are you out of your minds? Go away! Now Idle admits he prefers writing to acting, and his most financially rewarding project ever was writing and producing the stage musical of Holy Grail, Spamalot, which cost $10 million to open on Broadway, but paid for itself within a very short space of time. And for fans of Spamalot, there’s good news. It’s in the process of being made into a movie. “I thought writing the movie script for Spamalot would be my last thing, but I will probably keep writing,” he said. I guess that’s the brightest side of Idle’s life these days. 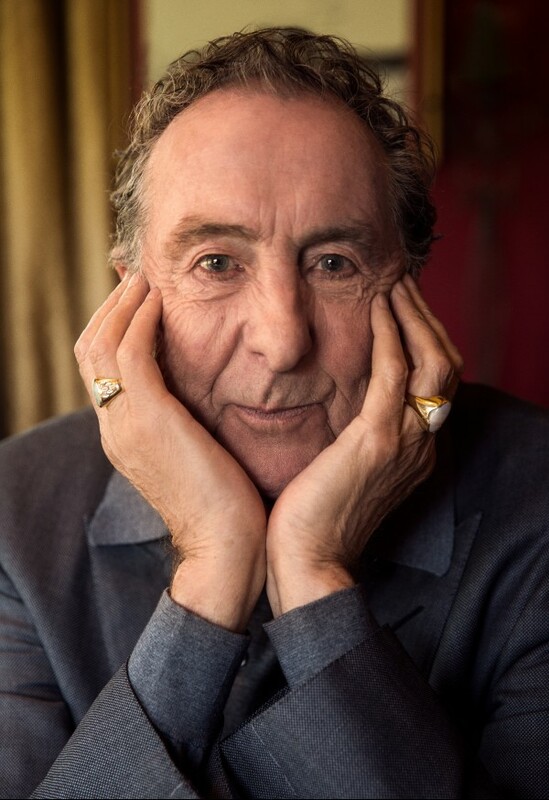 Eric Idle appeared at Cheltenham Literature Festival in October 2018. Review by Helen Gadd.